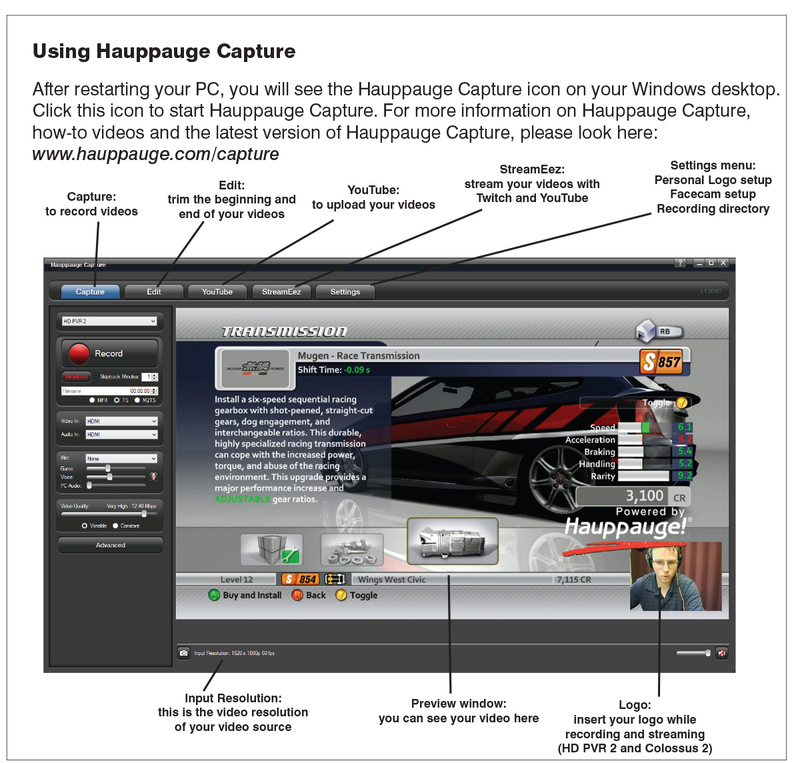 See Hauppauge Capture in action! 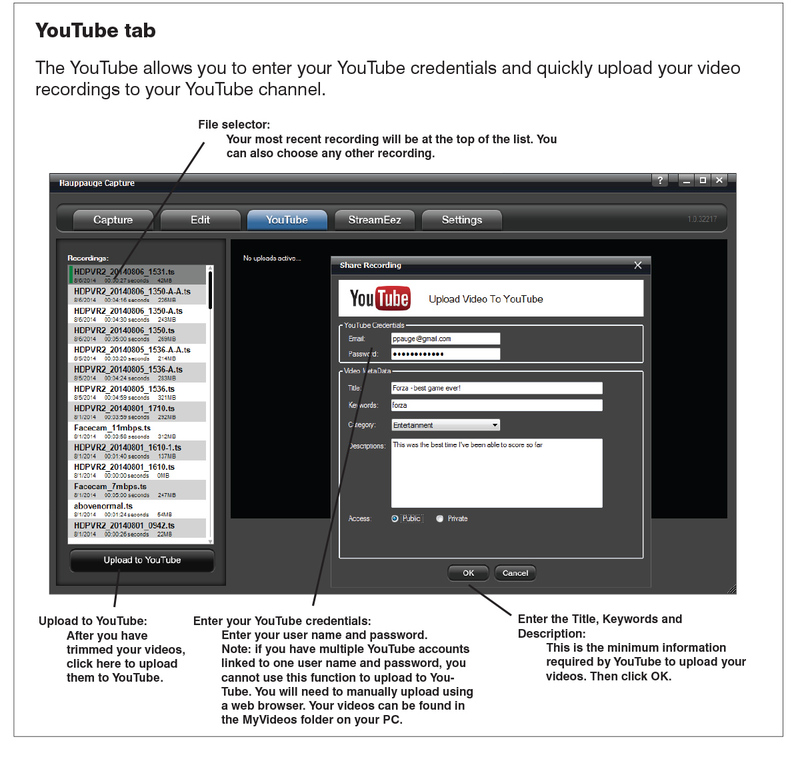 Advanced -> Audio encoder and select Use Multiple Audio tracks. 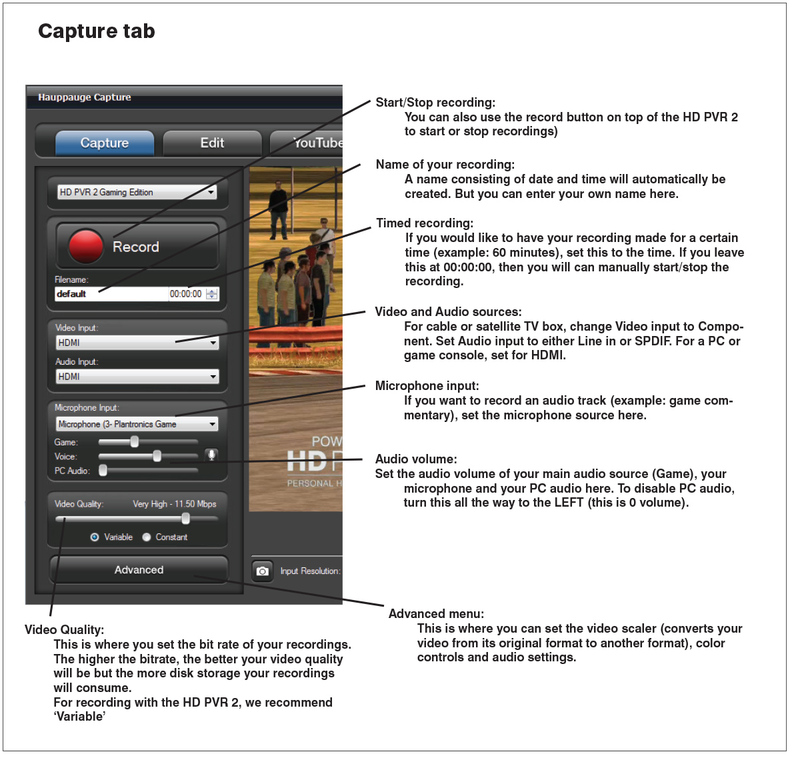 Click OK and then close and reopen Hauppauge Capture. 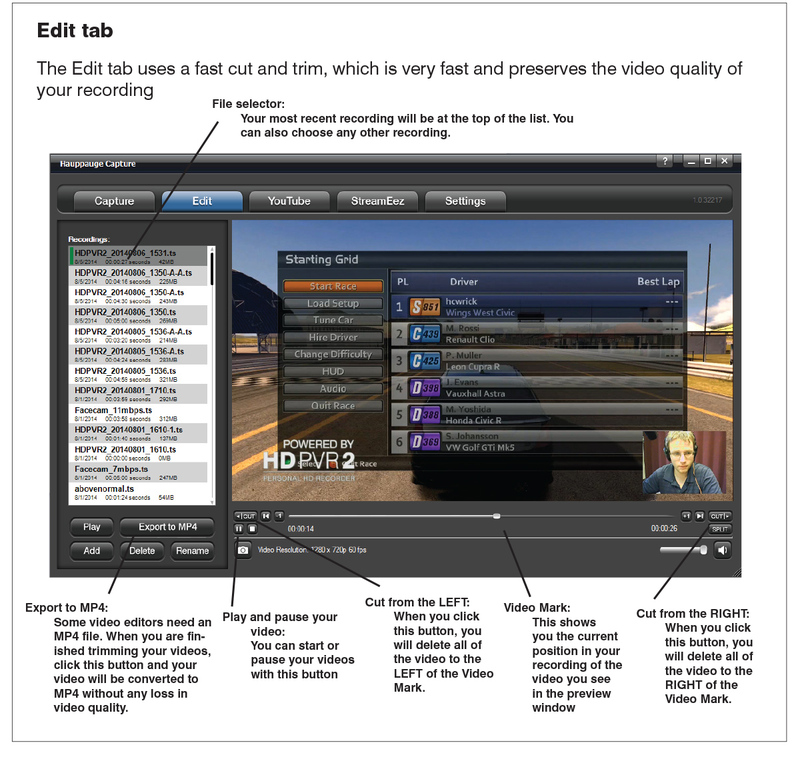 Each of your audio sources will now be on a separate track, and can be edited in Sony Vegas. 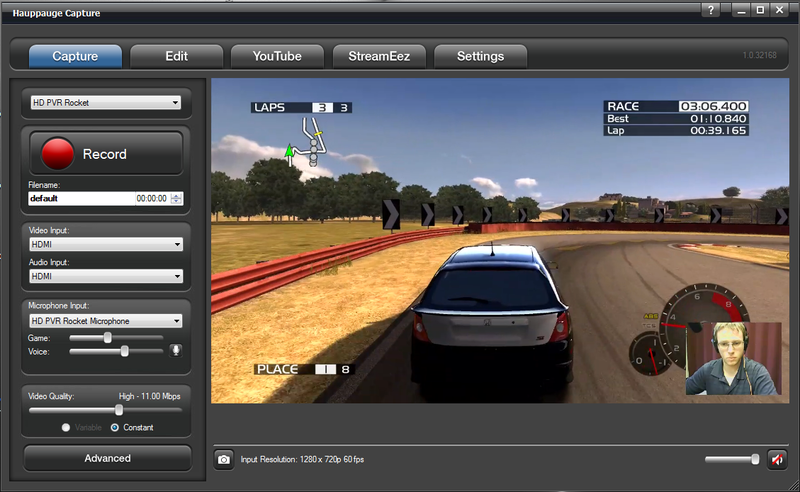 To check out the multi-track audio, we suggest you open your recording in the VLC media player and click on Audio -> Audio track and you can listen to track 1 (game), track 2 (microphone) or track 3 (PC audio). New function in Advanced: EDID option "HDMI Passthrough". 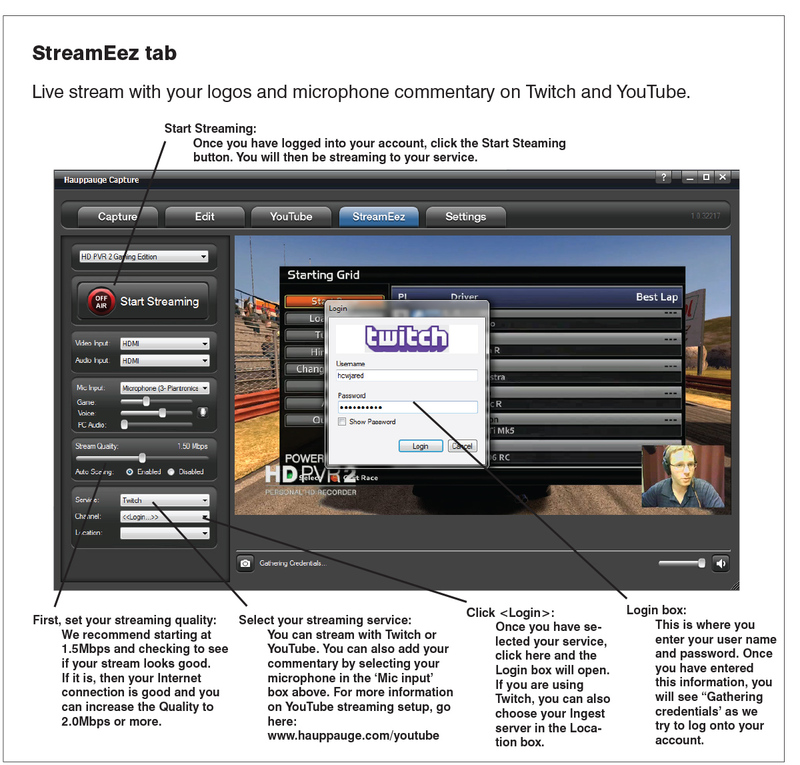 This allows you to limit the resolution of your console to that supported by your TV, rather than the resolution supported by the HD PVR 2. This fixes problems with 720p TV's where you would not see the game console on the TV set but a good image in Hauppauge Capture. We'd appreciate hearing what you think!